One of the main reasons people avoid walking is because it burns very few calories when compared with other cardio exercises. For example, exercises such as cycling and running can blast through a substantial 1,000 calories per hour while walking works off just 240 calories per hour. However, there are a number of simple techniques you can use to increase the rate at which walking burns calories. 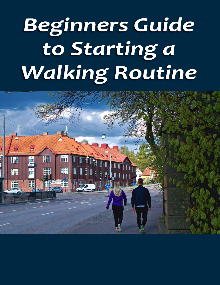 This article will focus on this topic and share 5 ways to burn more calories when walking. One of the simplest but most effective ways to burn more calories when walking is to carry some additional weight. If you want to add some light weight while you walk, you can purchase ankle and wrist weights that weigh between 1-5lb each. If you want something a little more substantial, try adding some weight to your backpack. Climbing hills is much more challenging than walking on a flat surface and so naturally burns more calories. Not only does it help you get a sweat on but it also adds more variety to your walking route and makes it more fun. In addition to this, it allows you to witness beautiful landscapes from the tops of hills or mountains. If you’re feeling adventurous, interval sprints are a fantastic way to blast through calories while you walk. Sprinting works off up to 1,000 calories per hour, so by doing just 6 minutes of interval sprints per walk, you can burn an extra 100 calories. Bodyweight exercises are another great way to break up your walking routine and increase the rate at which you burn calories. They can be performed anytime, anywhere and without any equipment, so you can easily just stop walking and perform a few minutes of bodyweight exercises. In terms of calories, bodyweight exercises work off between 500 and 1,000 calories per hour, so are a top way to enhance your overall calorie burn while you walk. Nordic poles are an excellent calorie burning tool that engage your upper body while you walk and allow you to burn up to 20% more calories. As well as bringing your upper body into play, Nordic poles also take the pressure off your knees and joints while walking and reduce your injury risk. By incorporating these 5 tips into your walking regime, you can turn walking into a notable calorie burning exercise and blast through body fat in the process. So if you’ve avoided walking in the past because of its low calorie burn, give it another try using the methods discussed in this article.